Eating well with the right combination of foods and vitamins, and avoiding sugars are the first steps in treating any condition and getting yourself back in shape. However, dry eyes can creep up depending on a variety of factors, so taking an additional step in your nutrition by choosing specific foods or supplements will ensure better results & less dryness. Tears are a blend of water, oils, and mucus that help smooth the surface of our eyes, prevent infections and soothe the skin. When tear production is stifled, the eyes can get irritated, turn red, and develop an inflammation. Therefore, to ensure our tears continue to be produced with the right balance, our nutrition must also be balanced. While advanced dry eyes might need more sophisticated treatment from an optometrist, if you’re starting to see early signs of dryness, selecting the right foods for their nutritional content now is a great step that could prevent the progression of dry eye syndrome. Especially since vitamins can take up to a month to kick in & take effect. Antioxidants – Research regarding how antioxidants relate to dry eye inflammation haven’t been conclusive. While oxidative stress or free radicals in the body have shown to cause harm in the body, food that contains antioxidants to supposedly detox the body of oxidative stress isn’t so clear. Even so, other studies show that antioxidants do promote lots of benefits of for various conditions ranging from Alzheimer’s to cardiovascular health. Investing in supplements rich in antioxidants or natural foods like blueberries, pecans, and even kidney beans could be a potential boost for your overall health. Omega-3 fatty acids – The kind of the vitamin list for dry eyes. While many doctors recommend fish oil, there are many foods that also carry this wonder-supplement. Salmon is considered by many as a super food, and one of its main ingredients is Omega-3 fatty acids. Other common foods include Canola Oil, Flaxseed and Flaxseed Oil, Wild rice, Eggs, soybeans, walnuts, and even enriched dairy foods. 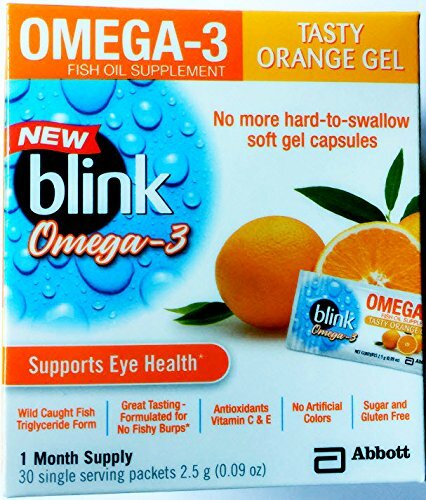 Our Vision Center carries a product called Blink Omega-3. Not only are these small packages that can be easily ingested, but they taste way better than fish oil. One package a day contains 2,000 milligrams, while fish oil pills may only contain a few hundred milligrams. Why ingest a bunch of pills & have fish breath, when you can enjoy your health boost with something that’s sweet & blends easily in water. Something that could be overlooked is staying hydrated. Since your body when dehydrated will conserve water, among the headaches that will be caused and dryness, tear production will be majorly affected. 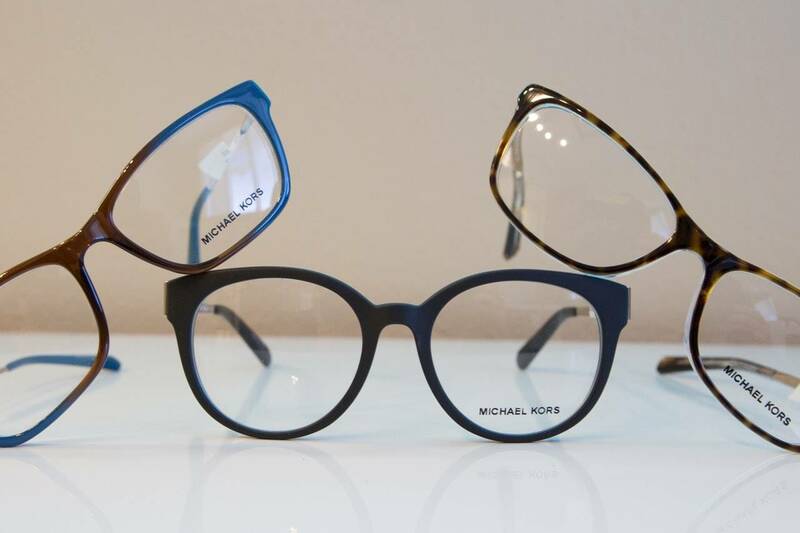 Perhaps not surprisingly, exercise has shown to benefit eye health as well. As your eyes are connected to the rest of the body and that optometrists can evaluate blood pressure and overall body health from an eye exam, exercising regularly can reduce the risk of eye disease as well. Research has shown that regular exercise has a positive impact on ocular perfusion pressure, a major determiner for glaucoma, resulting in 25% lower risk than those who are largely inactive. Similar findings have shown that exercise reduces the risk for macular degeneration as well. Your optometrist can recommend other options to help you find relief faster in addition to improving eating habits & exercise routines. Dry Eyes may be an eye disease, but adjusting one’s diet can reduce the symptoms of dry eyes as well as improve your health overall.